Online reputation has become a deciding factor in the digital environment. Whether you own an online or brick-and-mortar business, your online reputation is absolutely essential for your success. The better and more positive reviews you have, the higher the chances to convert. However, the opposite is also true. The more negative online reviews you have, the lower your chances to outstrip your competition. According to the latest stats, over 58% of online consumers are sharing constant feedback online. Out of them, over 90% have written at least one negative review this year alone. Studies also show that customer reviews are 12 times more trusted than the product or service descriptions from the manufacturer or seller. Good reviews can generate an 18% uplift in sales, while the total number of reviews contribute to 10% of Google SERPs rankings. In other words, reviews appear very high in search engines in the form of schema markup and can boost your SEO rankings. For hotels alone, a one-point increase in review score results in a whopping 12% increase in room reservation. The top 5 industries affected by reviews are restaurants, hotels, hospitality, doctor offices and hair salon industries. For more interesting information about online reviews and the actual sources of the information, read this infographic. Why Should You Stay Away from Bad Reviews? A bad review could be the deciding factor when potential customers might want to buy something from you. Let’s say that you have a detox program you are selling online. You also have a Facebook business page and a Google my Business account. You can get Google reviews, Facebook reviews, plus you can get reviewed on a multitude of blogs and platforms that feature and compare detox programs. Only just one negative review spread across all these channels, from a very vocal person who hasn’t lost a pound after following your program, could jeopardize your entire digital marketing strategy. Negative reviews have the power to take successful businesses and lead them to destruction. According to a study released back in 2014, over 88% of customers trust online reviews just as much as personal recommendations (source: http://searchengineland.com/88-consumers-trust-online-reviews-much-personal-recommendations-195803). This proves beyond a shadow of a doubt that positive reviews are key to being successful online, and negative reviews are the bane of modern businesses. Just one irate customer leaving a negative review could open the floodgates of negativity, making other customers follow suit and leave you negative reviews. Customers are more influenced by negative reviews than by positive ones, so you need to be extra aware of how you manage your reputation online. So What is the Cost of Negative Online Reviews? According to Laura Entis, a writer for Entrepreneur, a single negative review on Yelp can cost you up to 30 new customers. Just a single negative review can reverberate for years to come for your company. Not just that it can detract precious potential clients to choose you over your competition, but might also drive people away straight to the competition. Additionally, a negative review that looks convincing enough could influence other reviewers into giving you 4 or 3 stars instead of 5, even if they are content with your services. Ultimately, negative online reviews affect the performance of your campaigns, increase your costs and minimize the ROI. Now the good news is that you can take advantage of online reputation management services to deal with those negative reviews that have been plaguing your efforts for so long. 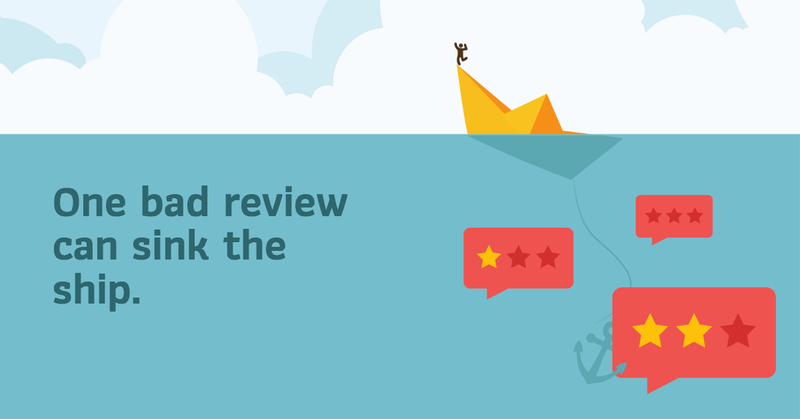 An effective online reputation management strategy can help you recover after being hit by negative reviews and can even help you become better than before. Ensuring that a customer leaves your store happier than he was when he entered, or an online client leaves your site satisfied because he had a flawless navigation and buyer journey is the first step towards dealing with negative online reviews. When you go above and beyond and exceed the expectations of your customers, they won’t hesitate to praise you and even recommend you to other people. Here are four strategies on how to ensure you will always get positive reviews from your customers and that they will become business promoters instead of unhappy customers. We can’t stress enough the importance of excellent customer service. In 2017, more than ever before, people complain about poor customer service. Whether it’s online interactions, interactions via phone or face-to-face interactions, it is imperative to provide outstanding customer service. Your customer service team should strive to solve the customer’s problem ASAP. Even though you might need to refund the money for a product or service, you should do it without hesitation. A negative review can make you lose even more money in the long run. You can actually control the reviewing process to some degree. For example, after a customer has bought your detox program, send him an email where you thank him and ask him for a genuine review of the buying process. After a few weeks, send him another email where you request a review of the detox program. During all the emails that you send part of the lead nurture program, remember to ask your customers to interact with you on social media platforms. This might help you get additional free reviews that you didn’t ask for. 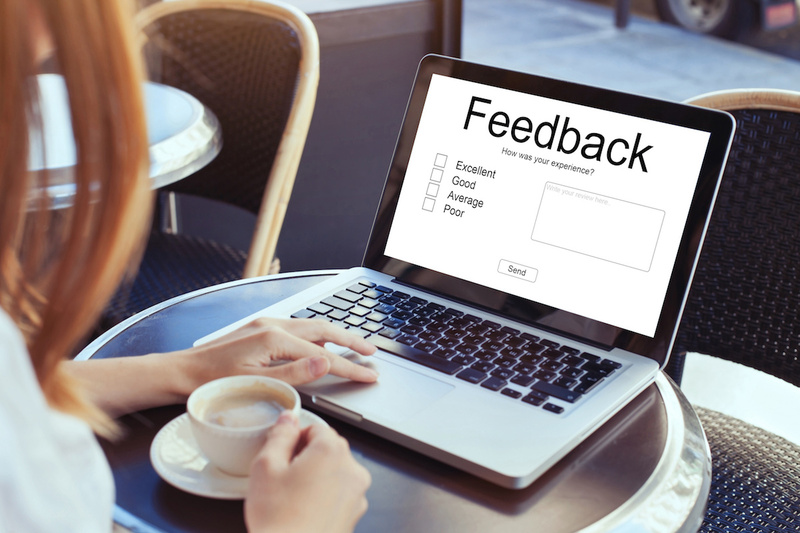 By promptly responding to your customer’s complaints and negative reviews will make them appreciate you for coming up with a solution so quickly. They will understand that their satisfaction is one of your primary goals and might change their minds regarding the review. While some will change it into a 4 or even 5-star review, others will update the review with a positive comment. Ultimately, you can keep tabs of your online reputation by hiring a reputation management contractor. These agencies specialize in solving customer problems, helping generate more online reviews, and transforming negative reviews into positive ones. Do You Want To Win More Business With Positive Online Reviews? Want to see how easy it could be to generate positive online reviews for your business, respond to negative reviews and repair damaged relationships? Click the link below and learn about our automated Customer Review System. Our system integrates with over 20 different review platforms.